Yeah, I ran video stores for 27 years and love TV and film for 56 years (and counting). So, I know what I like and what I watch. 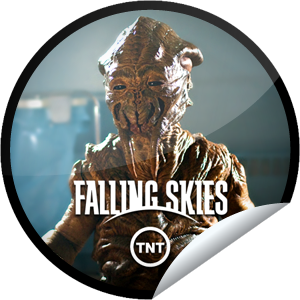 In these posts, I give my thoughts about shows, including one of my favorite new ones, FALLING SKIES (Season 2 starts in June on TNT.) These are not really reviews, and I urge you to watch and decide for yourself. These are simply my thoughts, likes, and disagreements with these shows. I hope you get something out of it. And keep the Skitters far away from me. Note: These are listed in reverse order of posting. Falling Skies: Season Two Eps One and Two-Rivers To Cross, Bridges To Mend. Falling Skies: Ep. 5 SILENT KILL: A RIVER Runs Through It. 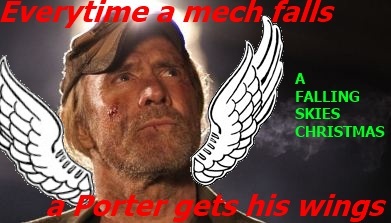 Falling Skies: Downtime…Separated At Birth? Watch The Skies! Fear The Skies! FALLING SKIES!